On our way back from a guided tour of the rain forest in Tobago, Mike saw something by the side of the road. 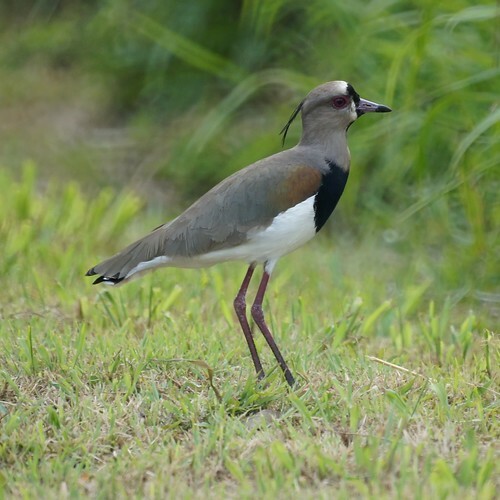 Our driver quickly pulled over so we could get a good look at two Southern Lapwings. It's a pretty common bird to see there, but we thought we might have to miss it. They are mostly seen near marshes and water, and we didn't have time (or energy) for a separate water birds tour. We opted not to go out looking specifically for water birds since a lot of the ones we would see are also seen at home, so it was good luck for us that two Southern Lapwings happened to be crossing our path.